After another night of no sleep (hello, jet-lag), I managed to pop in to the TCS New York Marathon Expo. I know, I know, I know….we had no choice to attend (we had to personally be the ones to pick up our number, no task rabbit messenger service for the marathon), but in addition to being a check off on my to-do-list, it also sparked some energy and fireworks into my veins. 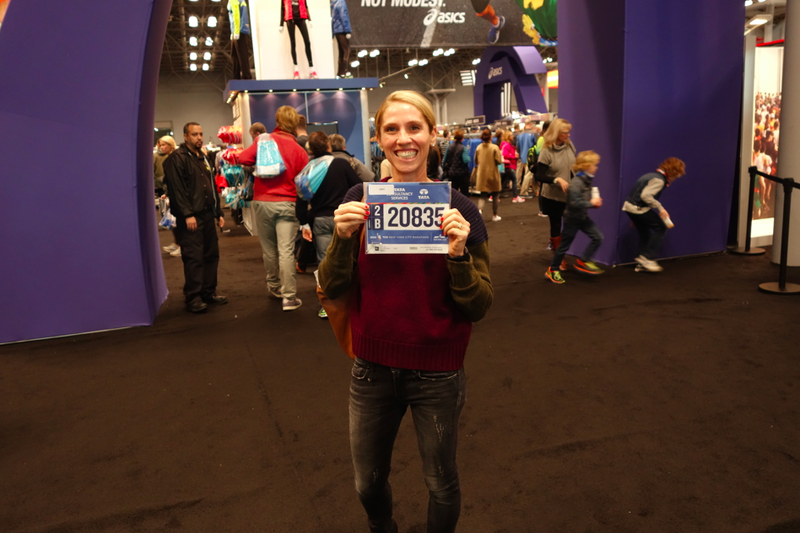 WE ARE RUNNING THE NEW YORK CITY MARATHON IN TWO HOLY CRAP DAYS!